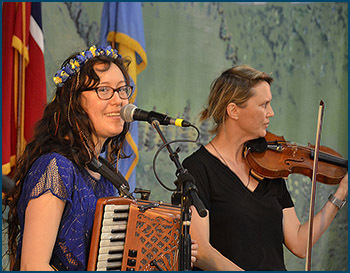 We are always looking for talented acts to perform at the Astoria Scandinavian Midsummer Festival. Over these three days in June, we present a variety of music groups, dancers, singers, and other exhibitors of Scandinavian culture. The key word here is Scandinavian. Our mission is to preserve and display authentic representations of our heritage. If you have an act you think would be a good fit for our festival, please fill out the form below and we will get back to you as soon as possible. Please include photos and a link to a video or an audio file. Major entertainers are booked a year or more in advance. Other times slots are usually filled by January preceding the June festival. If you contact us after January, we will save your information on file for the following year.